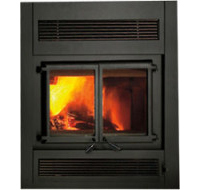 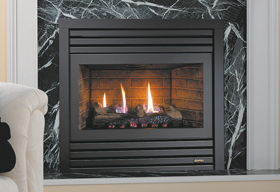 Slim Electric Built-in only Fireplace with black steel surround – Choice of 5 widths – 6″ deep. 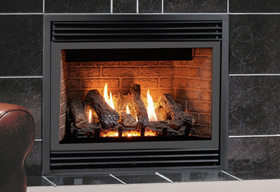 Outdoor Rated 40″ wide and 6″ deep electric fireplace – The Panorama Series of built-in electric fireplaces have been designed to give you the maximum in flexibility in selecting a unit that perfectly suits your needs. 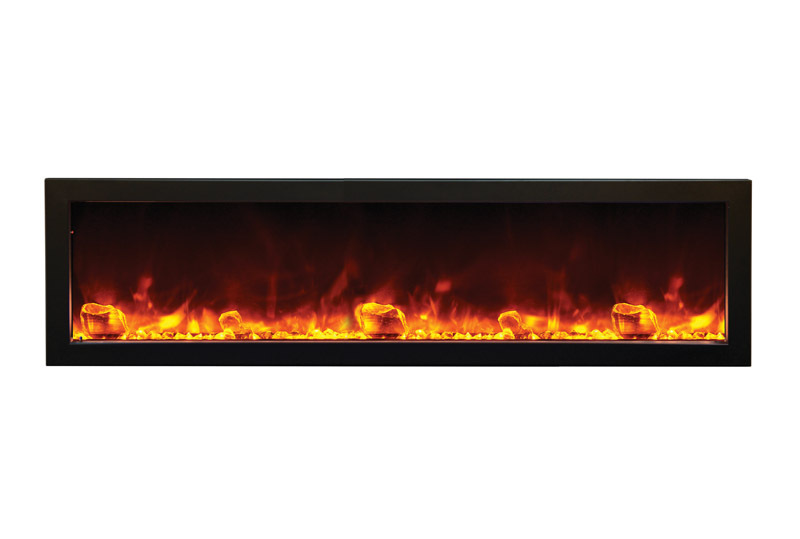 Note: The Deep and Slim units do not come with a white surround but do feature the newest Dual Flame blue/multi-colour flame presentation and come with large clear glass nuggets, clear & blue diamond fire glass media & log set.